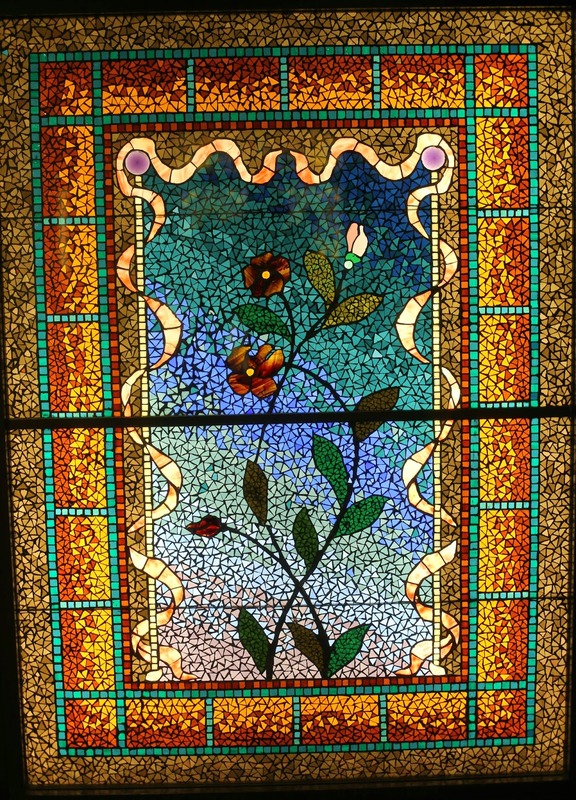 For a mere four years beginning in 1884, the Belcher Mosaic Glass Company made gorgeous mosaics like this one. They had a patented technique involving an asbestos sandwich and basically cast the metal in place around the glass pieces. They called these "metallo mosaics" as seen in this ad from 1887. 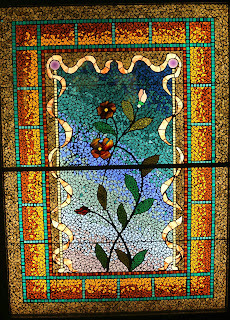 This mosaic and many others are shown in the superb Smith Museum of Stained Glass, towards the end of Navy Pier in Chicago.